Learning to fly is a dream for many people, but some students worry that they won’t have the ability to meet the learning requirements or develop the skills they need to control an aircraft. The reality is that this usually isn’t a reason for students not to finish flight school! Almost anyone can learn to fly – so why do some students not complete the course? Here are some insights from the flight school at Monmouth Executive Airport in New Jersey. Financial obligations: The cost of flight training varies from school to school and is also determined by the type of license you want to attain. On average, a private pilot license can cost around $10,000 but there can be additional charges too, like learning materials and living expenses while you’re in training. For some students, the cost may become too much to manage or a life event may impact on their finances, making it difficult to pay for lessons. Usually, many of these students return to training months or even years later. Lack of time: You do need to put aside time to complete the course and fly the required number of hours – a minimum of 40 hours for a private pilot license (often an average of 60-70 hours in reality). For some students, this can become difficult to achieve, leading to cancelled lessons, delays in their progression and eventually quitting when they realize they simply don’t have the time. When they do have the time later in life, many of these students return. They lack focus: When you’re aiming to accomplish something, whether it’s a pilot’s license, a college course or anything else in life, you’ll always perform better if you have an end-goal in mind. Your focus could be to work towards your career goal as a commercial pilot, to join fire and rescue services or simply to fly around the country and enjoy the sights. Without a plan in mind, some students struggle to motivate themselves to complete flight school. They had a bad instructor: Teachers play a critical role in helping students discover their passion for flying, develop their career goals, build their confidence in the air and pass on knowledge effectively. While industry standards are in place to ensure instructors are of a high quality, sometimes personality clashes or other issues can make it a bad learning experience that unfortunately leads to a student dropping out. In these cases, it’s essential to speak up and switch instructors or move to a school where you feel comfortable with and confident in the instructors. It’s never too late to learn to fly and achieve your dreams – and Monmouth Executive Airport’s flight school in New Jersey will help you get there. A safe, stress-free airport with uncrowded airspace and the longest private runway in the country, our airport offers you an opportunity to really relax and experience the joy of flight – a unique experience for flight schools in NJ. 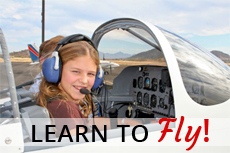 For more information about flying lessons in NJ and how to learn to fly, please visit our website at http://monmouthjetcenter.com/ or contact us today.